Captain Marvel, aka Shazam was a superhero created in 1939. Commemorate the most popular superhero of the 40's by collecting this unique pin. Perfect for wearing around or for adding to a set collection, this super collectable pin is sure to be a hit. 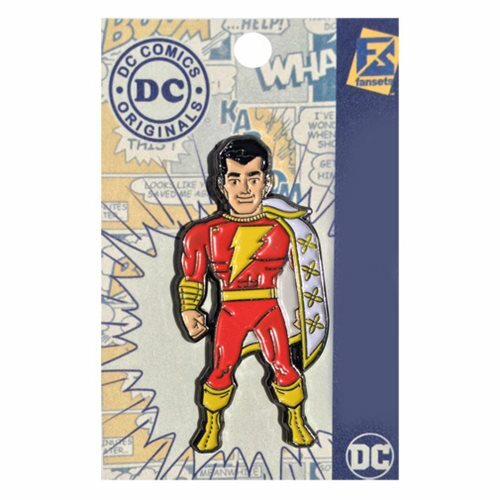 This DC Comics Captain Marvel Shazam Pin measures about 2-inches tall. Ages 13 and up.